The Power Rangers Movie is here and fans everywhere have lined up to see it once, twice, three times and more (personally I am at 4 times with a 5th time planned). And for those of us who have seen the movie multiple times you cannot help but to begin to notice all the little easter eggs sprinkled throughout. Some of them are obvious, some of them not so much. And that’s what we’re here to help with – listing all the easter eggs we can come up with! This article obviously contains spoilers – do not click “Read More” unless you’ve seen the movie or unless you don’t care about spoilers. This list may not be complete – please feel free to contact us if you’ve found an easter egg not listed here. Before the teens become Power Rangers, they still sport their traditional colors in some way, shape, or form. For example, Jason’s bike that he rides to Billy’s house is red. Kim’s undergarments are a pinkish-purple. Trini has a yellow flannel shirt wrapped around her waist. Etc. In that same scene, there’s a drawing of an owl on the wall. Directly above it is a picture of the Silver Guardians out of Power Rangers Time Force, with another picture that looks to be of the morphing scene from Power Rangers Time Force. 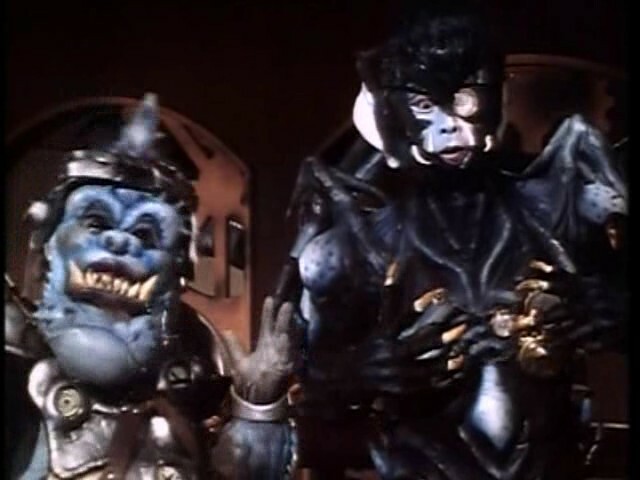 Is the owl then an easter egg to Circuit, the mechanical owl from Power Rangers Time Force? There are a few more little tidbits out there that we cannot confirm 100% as of yet (ie: the Angel Grove school symbol being the same as the original series). If you have any easter eggs please feel free to let us know and we’ll add it to our list! Use this thread to post your Power Rangers Movie reviews that contain spoilers. Not mine, but Jeremy Jahns give it a fairly good review. Power Rangers - Movie Review. I'm actually really glad it's getting good reviews. I was worried it'd be the next Jem movie, but it seems like that's not the case. So, Zeo Crystals, and the reference to Mariner Bay and Reefside. Pretty awesome. If the Zeo crystal ever ends up beign a source of new powers, will they keep the MMPR cast I wonder? I think one possible way to pull it off is to take the Giant-sized X-Men route where the first five except Tommy are abducted, etc. and Tommy must play leader by gathering his own team of rangers to save his team. If they're planning this far in advance they probably know about when they'd like to change any characters and I bet the contracts for the actors were written accordingly. This movie was better than I expected it to be. And I expected to at least have a good time. I got a kick out of the fact that they took the Krispy Kreme product placement to a whole other level. And the mid credits scene where Tommy Oliver is mentioned by name got me hyped for a possible sequel. I don't know if this is just me, but I feel like a big thing that was missing was the actual use of the morphers or some take on the classic morph. 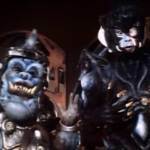 I also still feel like Goldar was done so horribly wrong. Other than that, the movie was great in my opinion. I left the theater at 9pm and still have a smile on my face at 1:30am from enjoying it that much. I thought everything was great, and the movie was that much better due to the ways they changed story details from what the show had established. The simple fact that Zordon's origin was actually explained is worthy of applause in itself! I don't know if this is just me, but I feel like a big thing that was missing was the actual use of the morphers or some take on the classic morph. I agree. I definitely thought that the morphers being completely absent was odd, but the more I thought about it after the movie the more it made sense based on what the movie was about: The powers choosing the rangers. The show was more like "Find 5 kids and give them these morphers", while the movie made the kids work for it. I was really expecting trash when going into the movie tonight, nothing leading up to it really had me convinced I was going to have a good time. Maybe it was lowered expectation, but I really enjoyed myself. I'm checking it out again Monday so I'm curious to see if my opinion changes after the hype has a weekend to cool off. The suits and individual Zords looked quite a bit better in motion, but I still hate the Megazord design. I liked what they did with it, but that thing needs a serious overhaul for movie 2 if we get it. The only real new complaint I had was the little niblet of a theme song we got. It kicked off and the hype train kicked into maximum overdrive but it fizzled out after 5 seconds and never came back. It really should have been over the Zord onslaught in the town. I also really love when movies go all out on product placement. I loved the Bud Light in Age of Extinction, and I loved that Krispy Kreme was a major plot point. Either go big or go home. I'm also really jonesing for some donuts now. I think I'll get fat on a box of those Ranger donuts tomorrow.